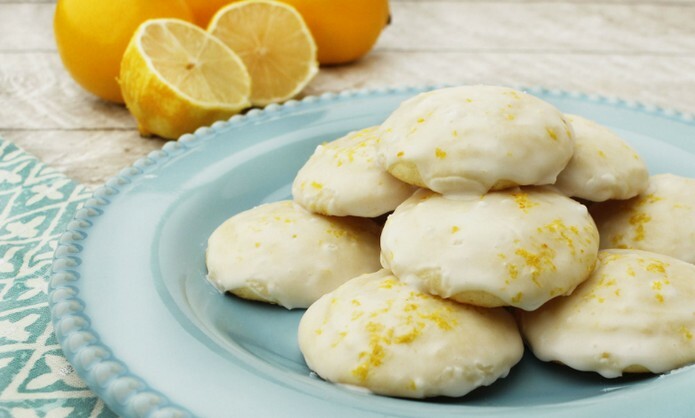 Tangy Lemon Ricotta Cookies are topped with a sweet and tart lemon glaze that creates the perfect summer cookie for any family or other Celebration. Lemon Ricotta Cookies with Lemon Glaze will make anyone smile. ﻿ Mix dry and wet ingredients separately, including ricotta cheese, lemon zest and fresh lemon juice. Add dry to wet, mixing thoroughly. Once cooked and cooled, cover the cookies with a lemon glaze.